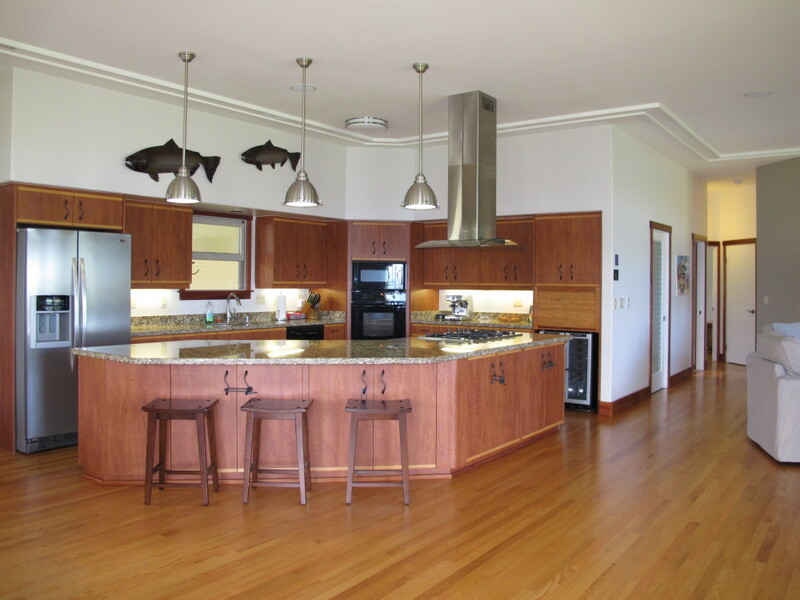 Hale Hokule’a – Luxury Vacation Homes, Inc. 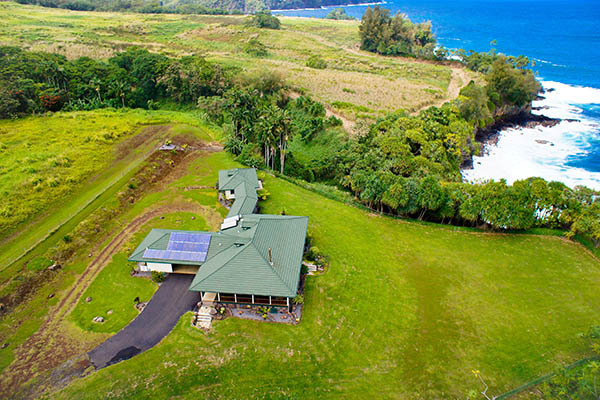 Welcome to one of Hawaii’s most secluded luxurious ocean front estates! 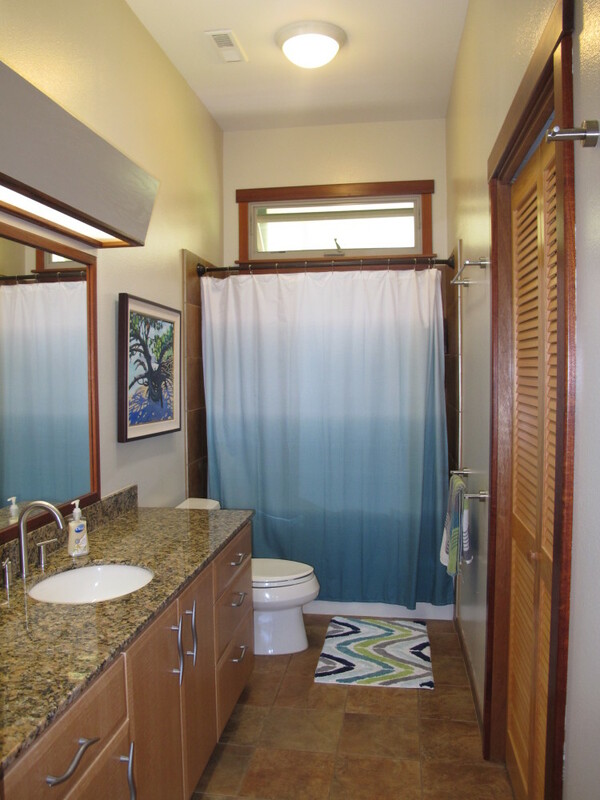 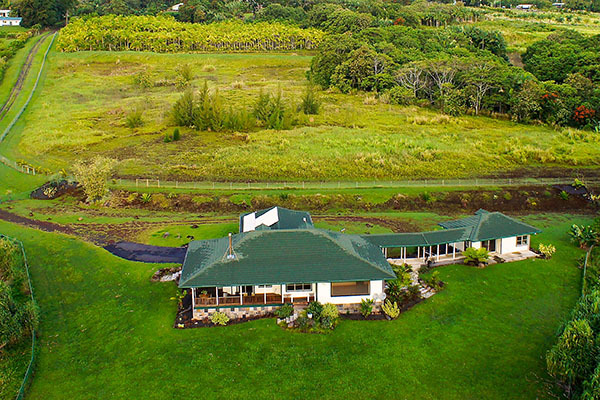 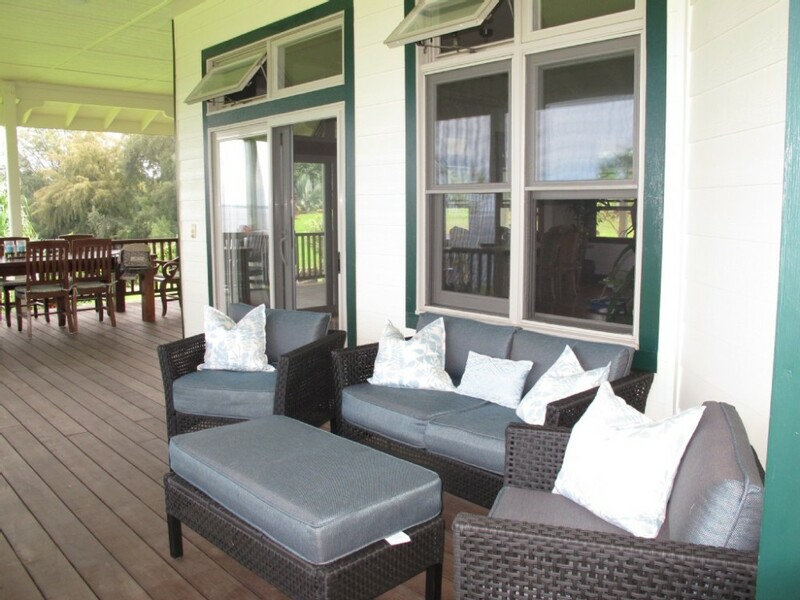 Our family vacation home is situated on a 15.7 acre heart of palm plantation and is located on the Scenic Route, just minutes from downtown Hilo. 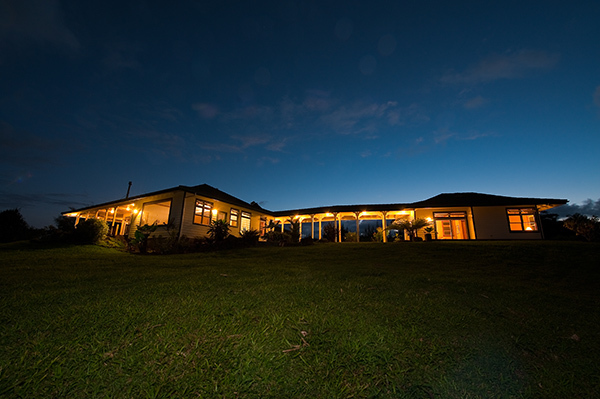 Upon entering the gated estate, you will feel like you have left the stresses of life behind. 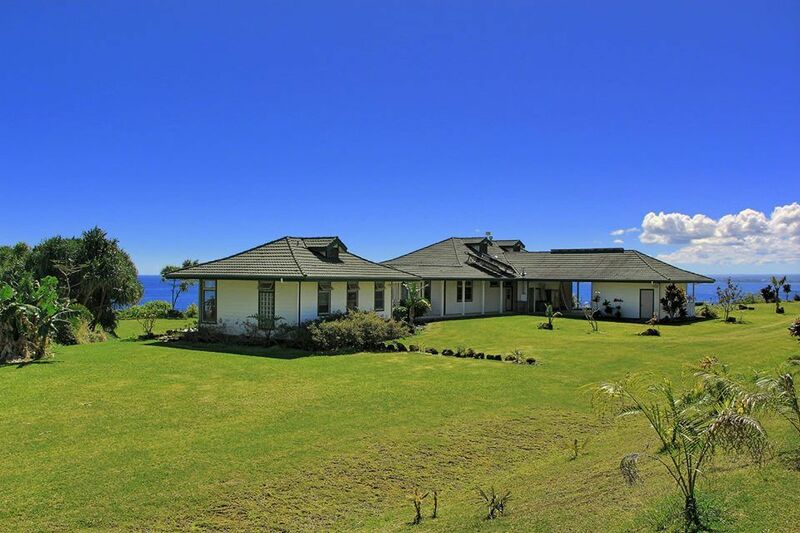 The property is surrounded by breathtaking ocean vistas and open agricultural lands which create a sense of privacy and seclusion. 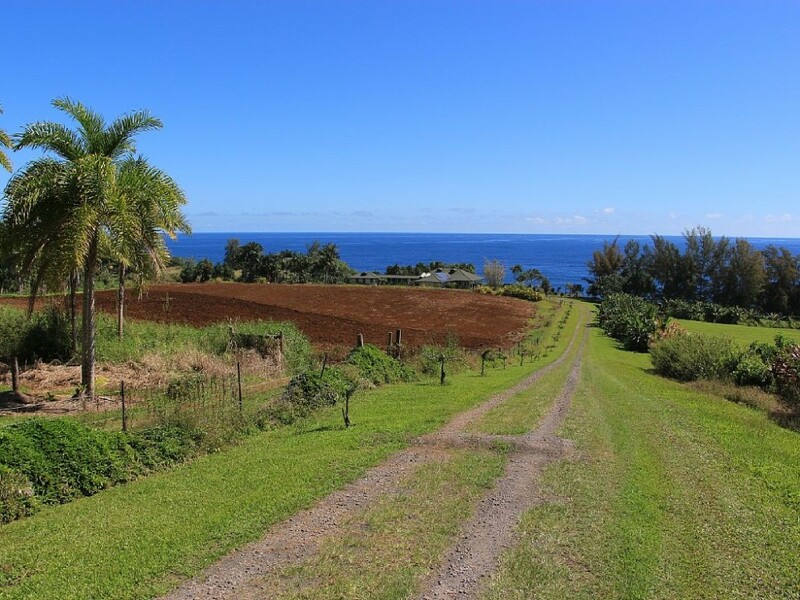 As you turn off the scenic route, you will drive down a spectacular driveway and see a beautifully hand crafted cliff top plantation style home, which is completely off grid. 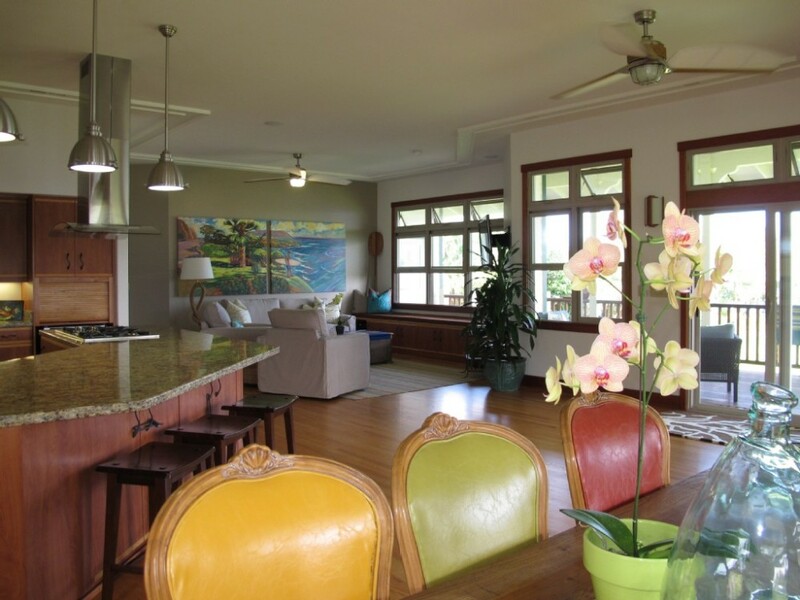 Surrounded by unobstructed views of the ocean, the great room kitchen/living room is truly the heartbeat of the home. 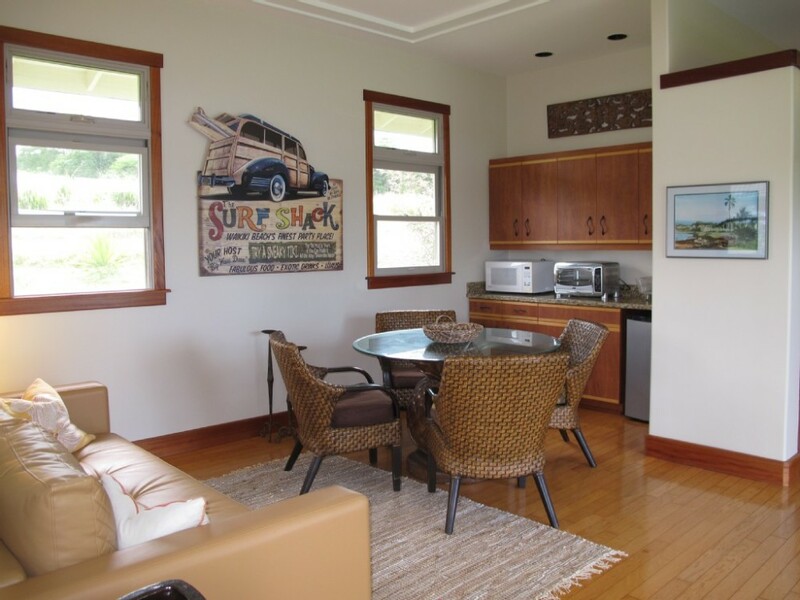 Decorated with a contemporary casual beachy feel, the living room is accented with gallery artwork by renowned Hawaii artist and offers a comfortable couch with a large flat screen TV (DISH TV) and plenty of seating. 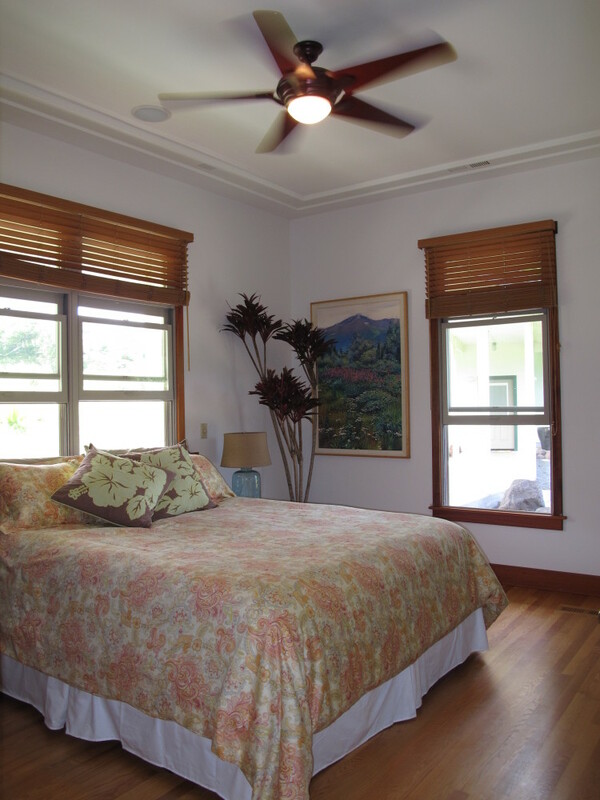 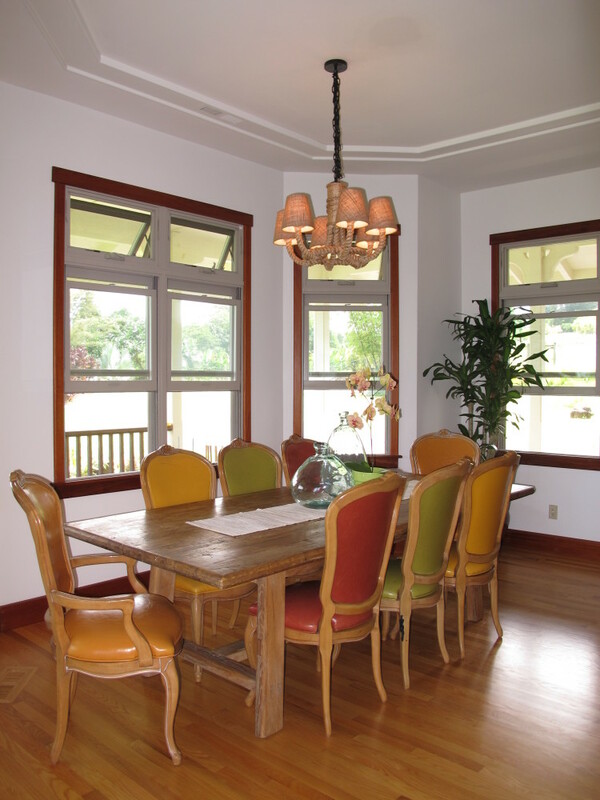 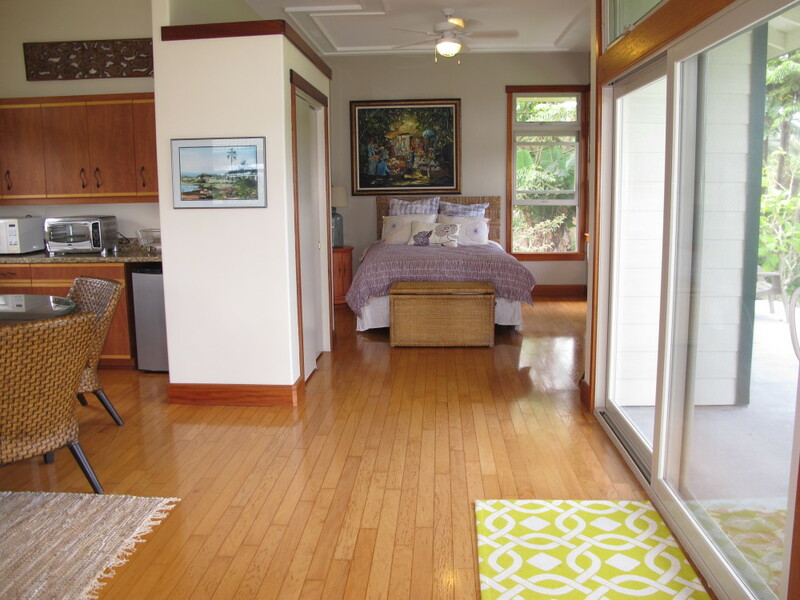 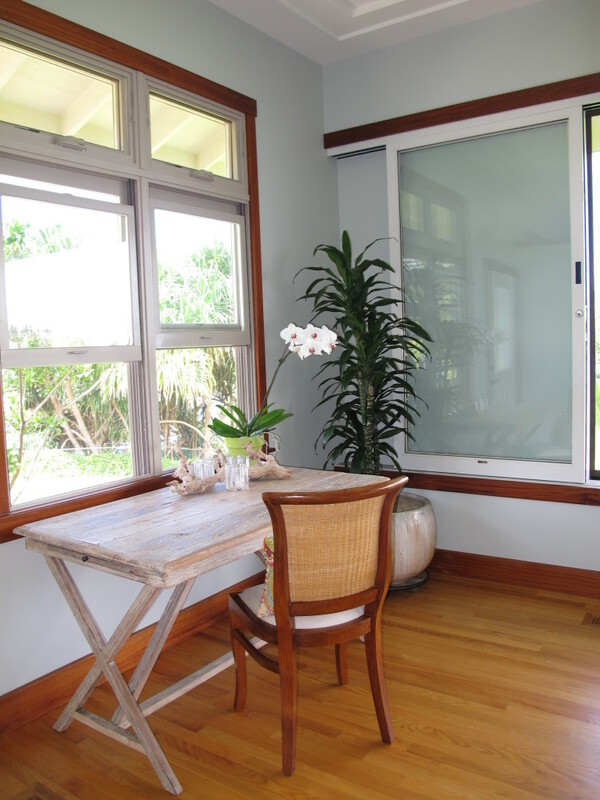 Windows abound throughout the great room with spectacular views of Hilo and the Hamakua coastline. 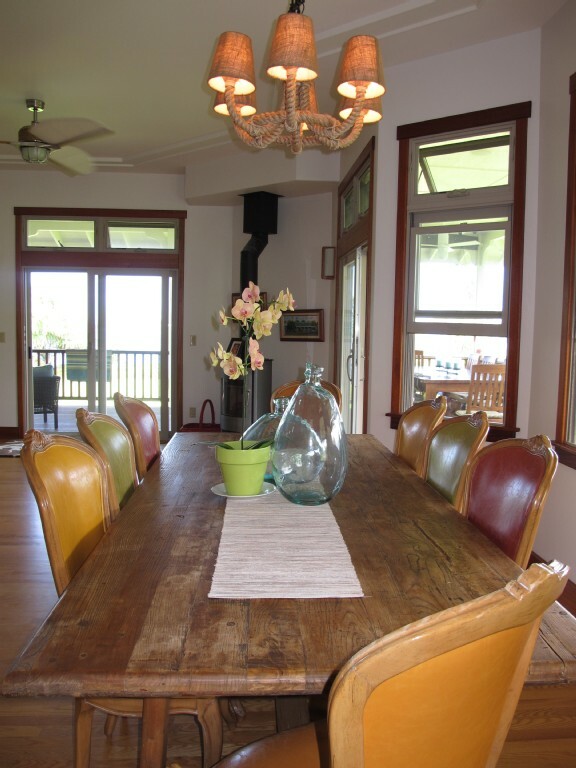 There is a very large reclaimed wood dining table with 8 chairs, as well as 3 counter stools. 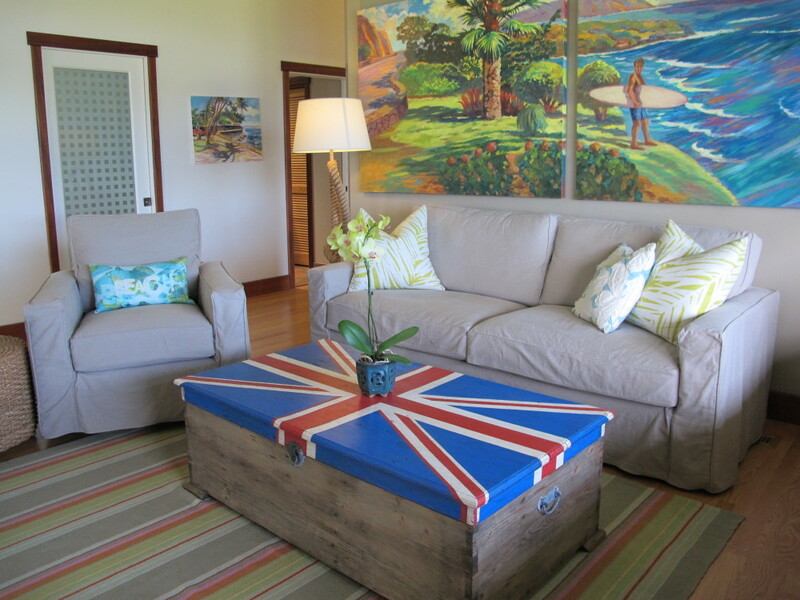 The living room also offers a wood burning fire place to create a romantic environment for the occasional chilly night. 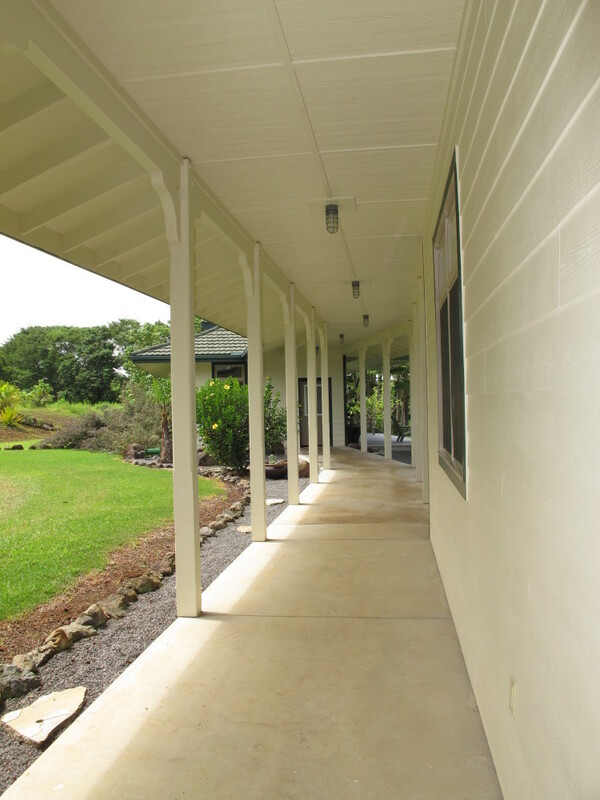 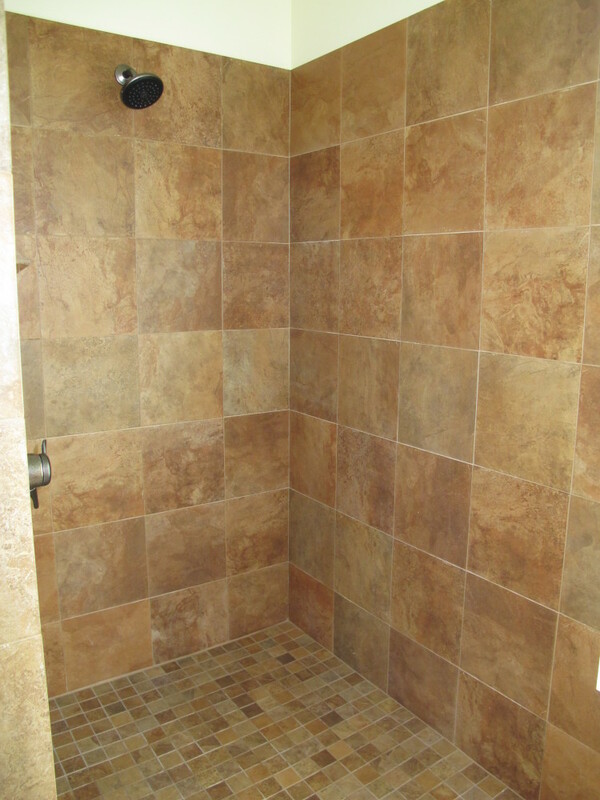 A sound system is wired throughout the house and lanai. 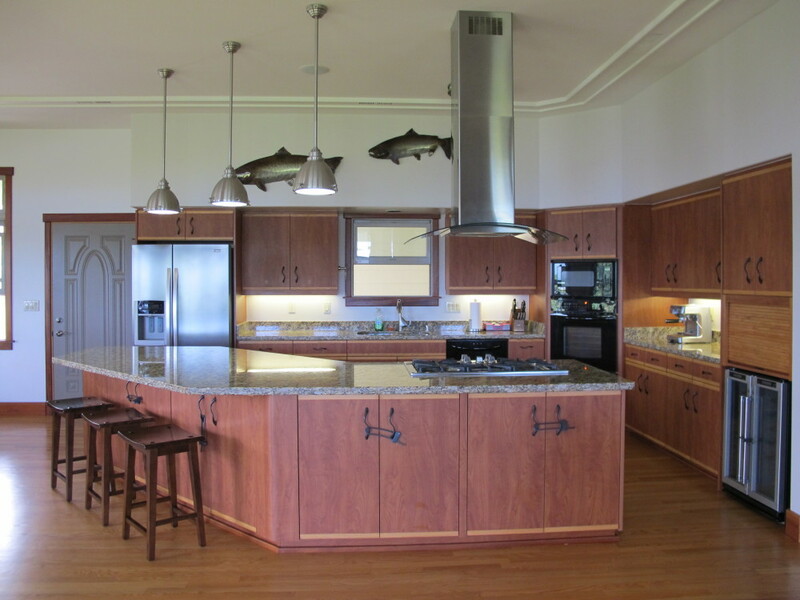 Making this the perfect home for entertaining or relaxing with your family, the gourmet kitchen with commercial gas stove, large island, and convection oven complete the space. 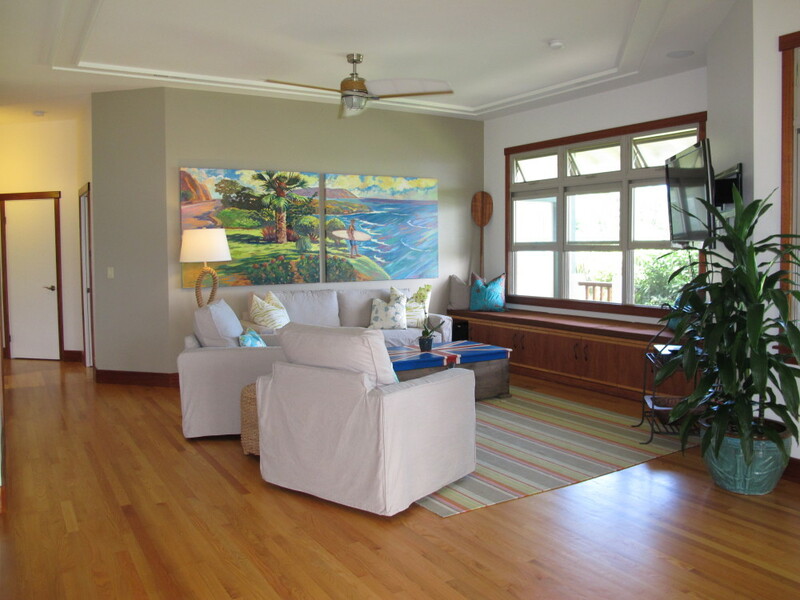 The home is surrounded by a spacious wrap around deck which offers a comfortable outdoor seating arrangement as well as a solid teak table which can host 8 guests comfortably. 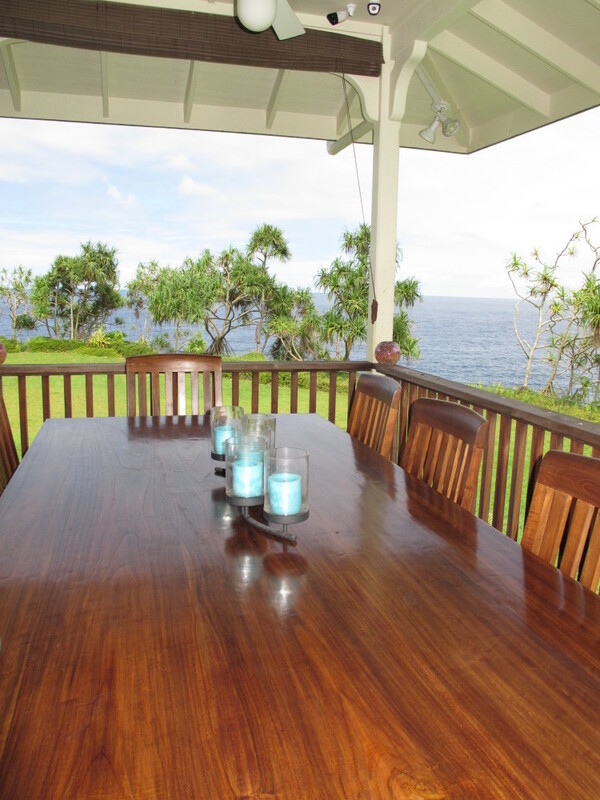 The dramatic views of the crashing waves on the Hamakua coastline can be seen from every seat on the verandah. 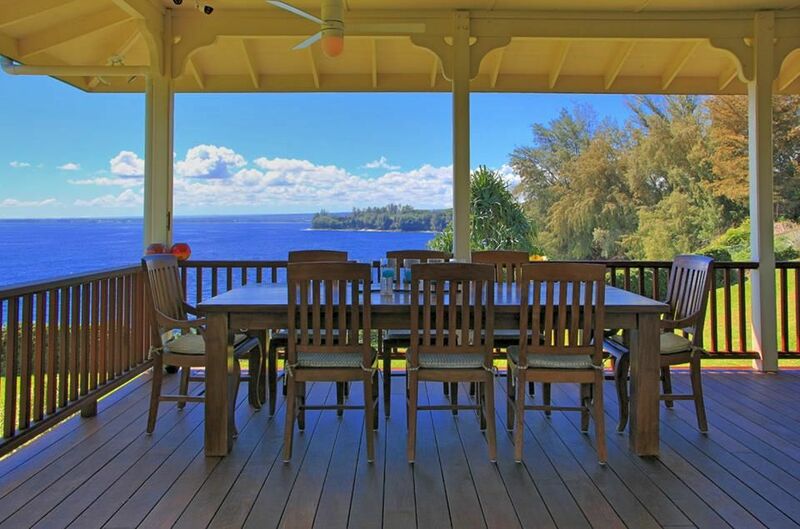 The deck is a perfect place to watch the Hilo sunrise and the whales breaching in the winter months. 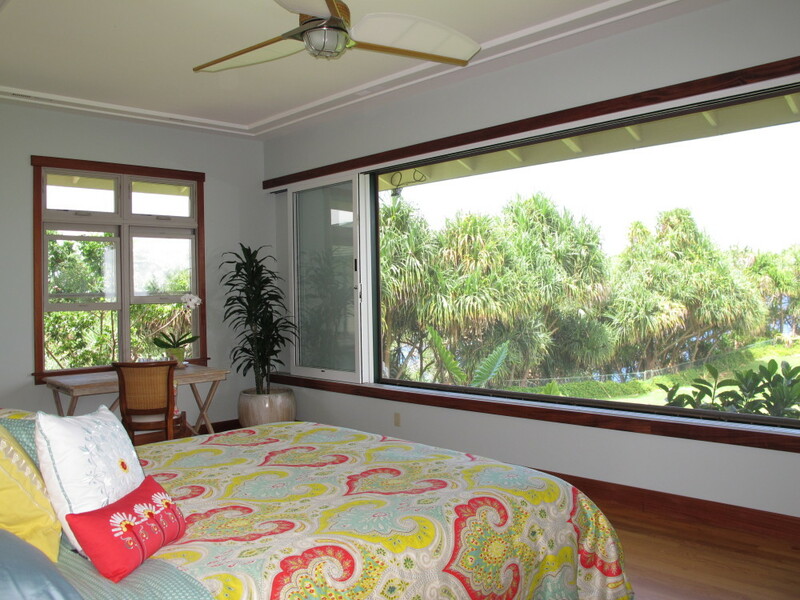 In the master suite, a vanishing 15 foot window opens up to a spectacular unobstructed 270 degree ocean view. 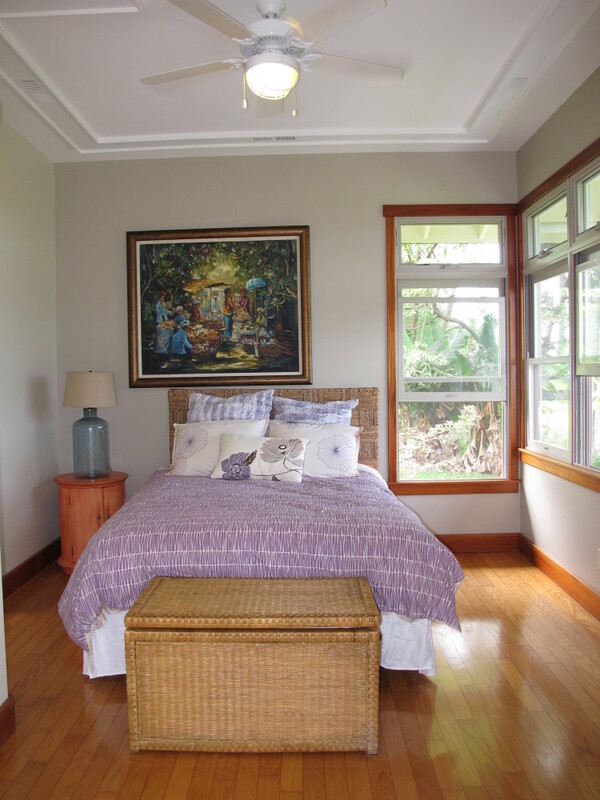 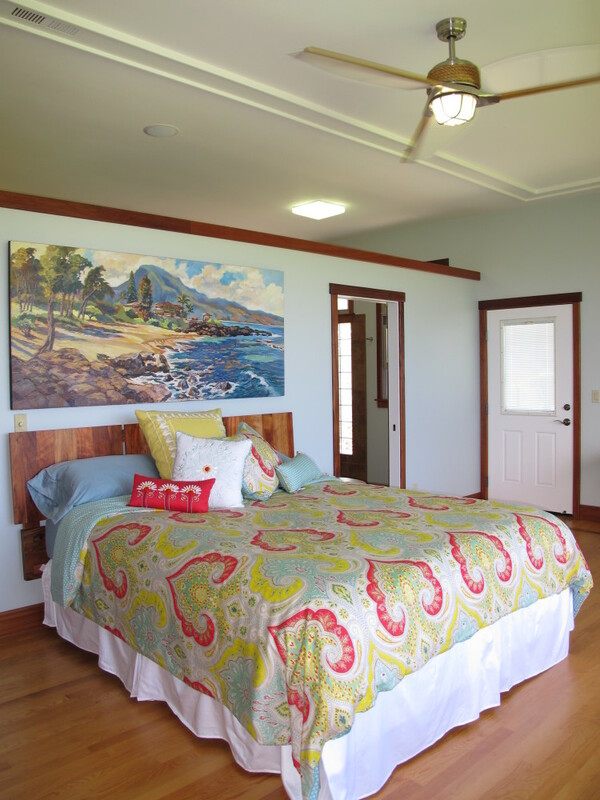 The master bedroom is connected to the wrap around veranda. 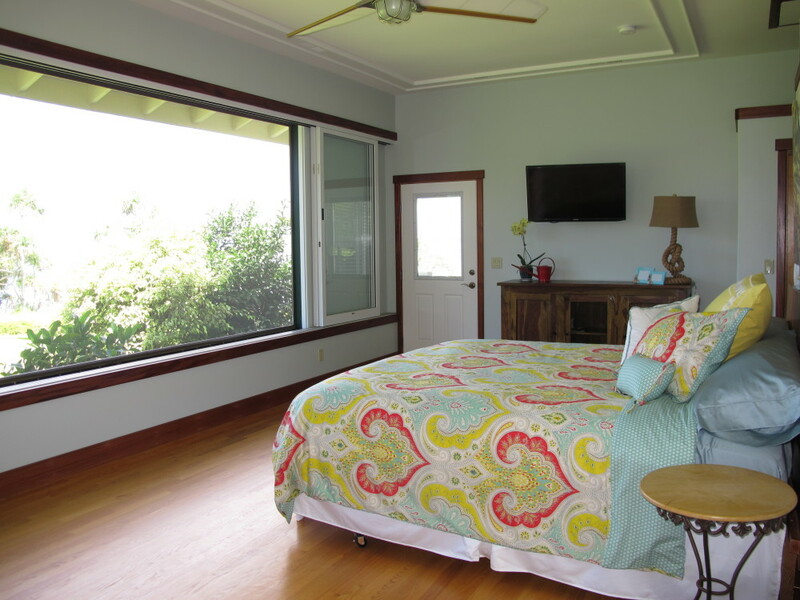 A short walk down a beautifully landscaped covered breezeway provides access to a private guest house complete with its own bedroom, living space, bathroom and TV. 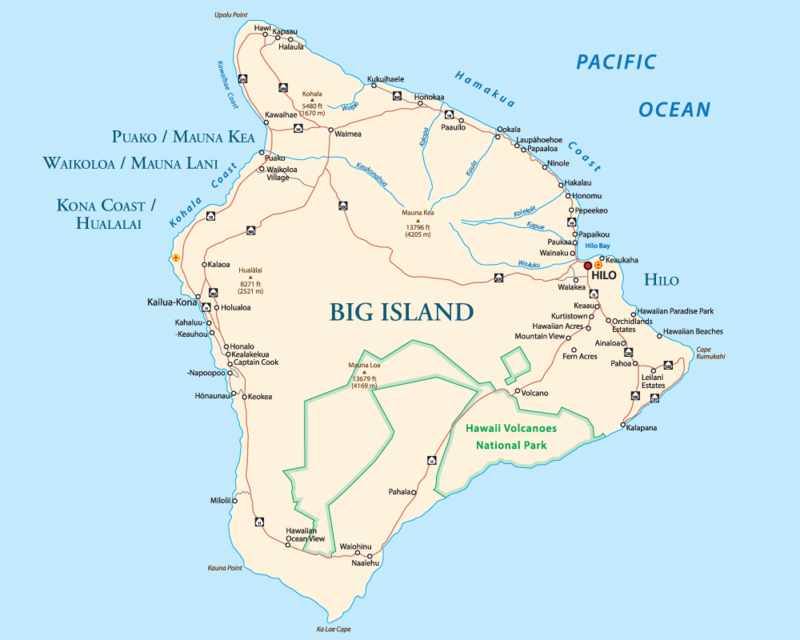 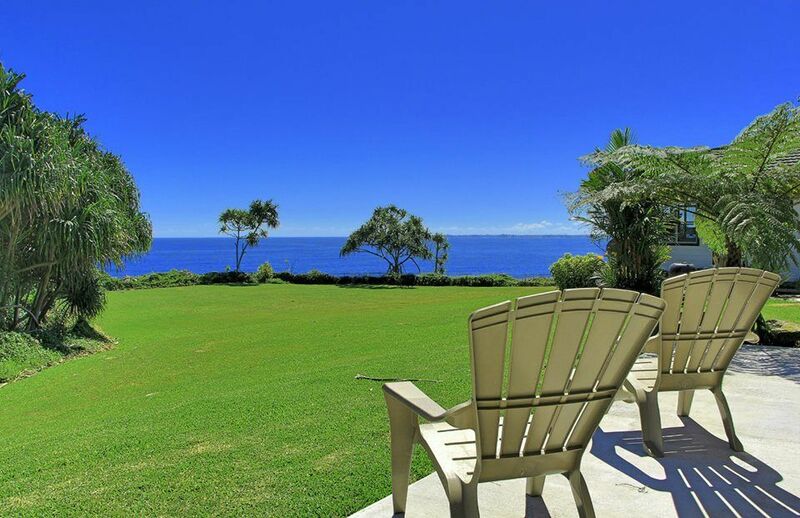 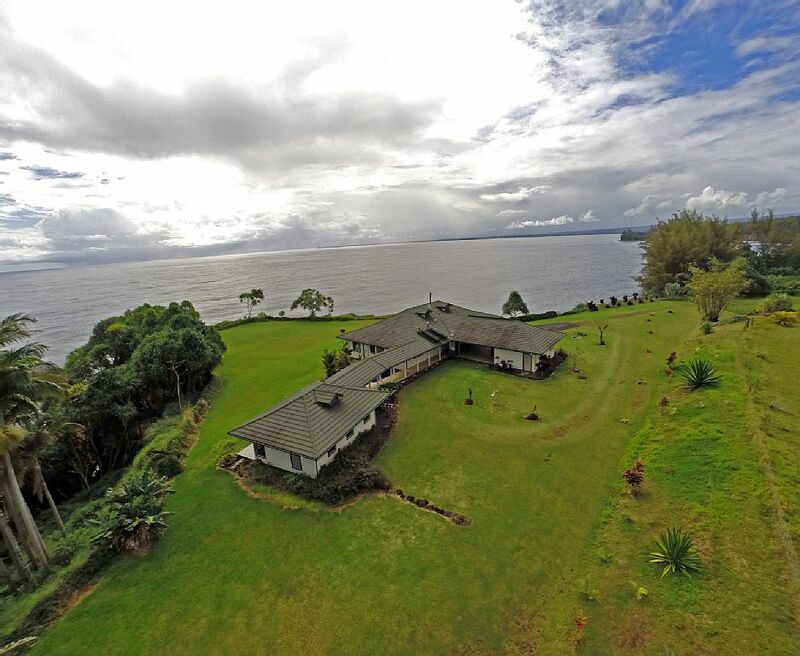 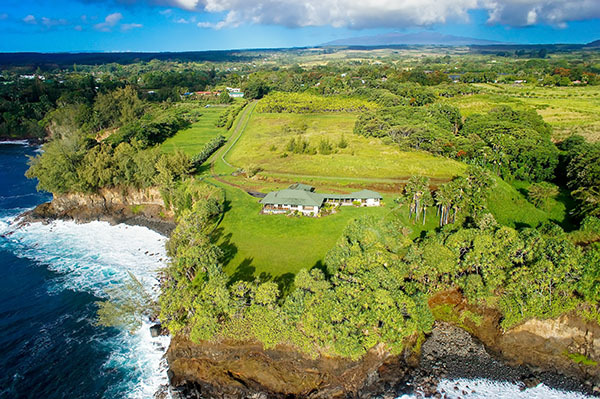 Our ocean front estate is 15 minutes from the Hilo international airport and 10 minutes from downtown Hilo. 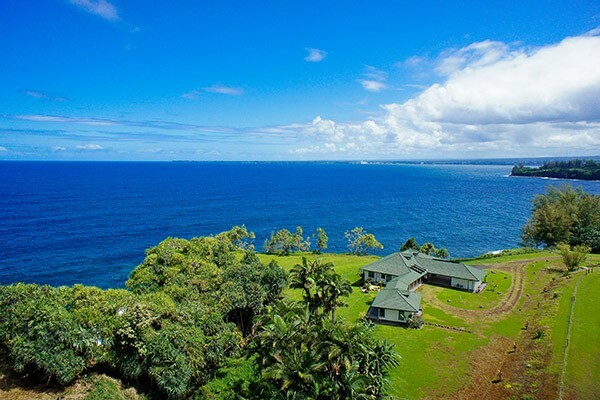 Hilo town is home to the infamous Hilo Farmer’s Market, Astronomy Center, University of Hawaii Hilo, Hilo Medical Center (hospital), numerous restaurants, shopping, water falls, botanical gardens, horseback riding tours, zip lines and more. 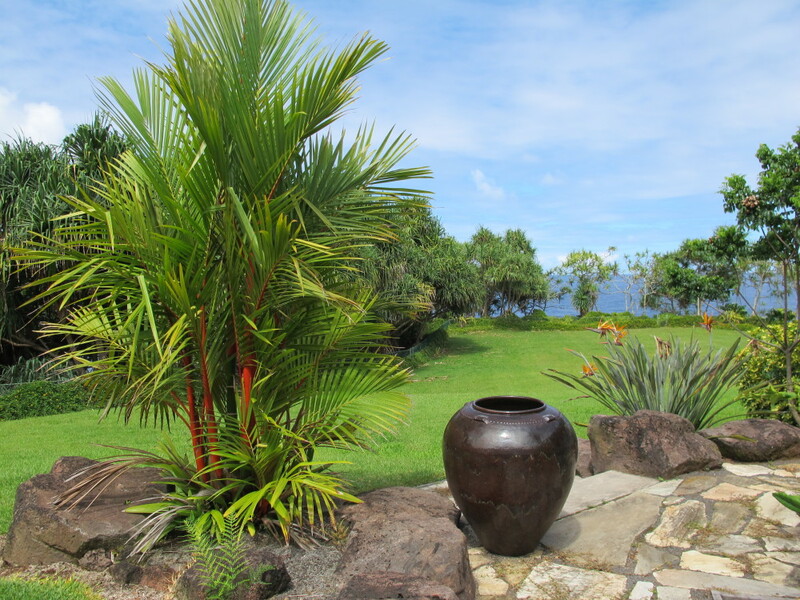 The World famous Volcano National Park is also within an hour drive of the estate.